Are you ready to make the switch to solar power? The benefits exceed the cons, and your decision to go green could do more than supply your home or business with clean energy; it will help the environment and create a better future for generations to come. 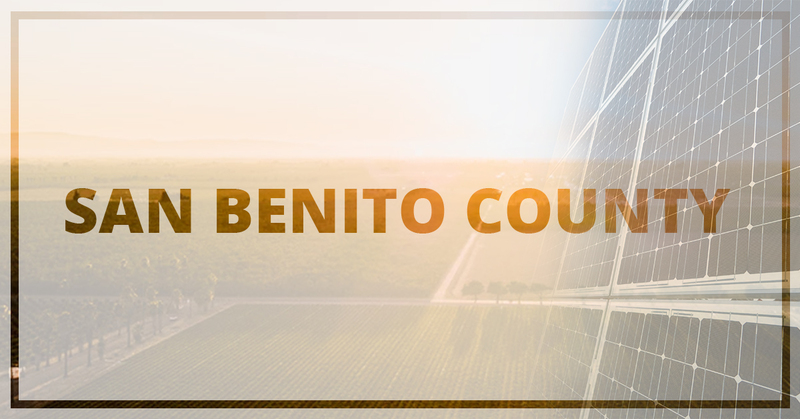 If you live or do business in the Coast Range Mountains in San Benito County, then you know the beauty and grandeur the area provides. Solar panels allow you to be a part of keeping Pinnacles National Park, Fremont Peak State Park, and the various rivers and creeks like the Pajaro, San Lorenzo, and more pristine. There are three primary benefits to solar panels: utility-bill savings, peace of mind, and energy independence. When you choose to make the switch to solar power, you offer yourself an opportunity to save money on your utility bills. As energy prices in California continue to climb, savvy home and business owners are looking for alternatives. This switch is resulting in utility bills slowly reducing and, in some cases, becoming a credit to the home or business owner from the energy service provider. As you enjoy green energy, you inherently adopt a peace of mind otherwise unseen. You are using a natural resource to power your home or business. The energy source is renewable, and the process by which you are collecting power does not harm the environment, which means the national parks, rivers, and more are being conserved. If you’re a homeowner, purchasing a solar panel system is a great way to reduce your utility bills, help the environment, and attain energy independence. You will find the solar investment tax credit (ITC), which runs until 2021, a way to save money on the upfront cost of installation. You can also research your municipality or county to see if they offer discounts or initiatives. It’s time you made the switch to solar power. Do you run a business and want to use solar energy to power everything? You have a few options. You can find a power purchase agreement (PPA) with another business to buy solar power from them without having to invest in the panels and system up front. You can also lease a solar power system, install it on your building or property, and utilize green energy. If your company is looking to go all-in, you could also purchase panels and a system outright to use. In some cases, businesses will purchase their own panels and system and produce too much energy, selling it through a PPA to businesses near them, which result in a profit over time. We aim to make solar simple. The benefits and accessibility of green energy are available to those willing to make the switch to solar power. At West Coast Solar, we see solar as the future of energy, and we intend to pursue our mission of helping home and business owners use clean energy to power their lives. Are you ready to get started on your solar panel and system design? Give us a call today!